Like many other Asian OEMs, Asus developed their own skin on top of vanilla Android. Dubbed as Asus ZenUI, the skin incorporated a handful of Asus backed online services (for example, Asus WebStorage) along with a mixture of colorful menu items and an app drawer. The Taiwanese tech company also constructed a dedicated camera stack called PixelMaster. Their stock camera app is also known as PixelMaster, but the actual stack is much more than the app itself. PixelMaster is a unique ASUS-developed technology that combines software, hardware and optical design to deliver incredible image quality. With PixelMaster, your smartphone always produces professional high-quality photos. Best of all, it’s with you all the time to capture every moment. 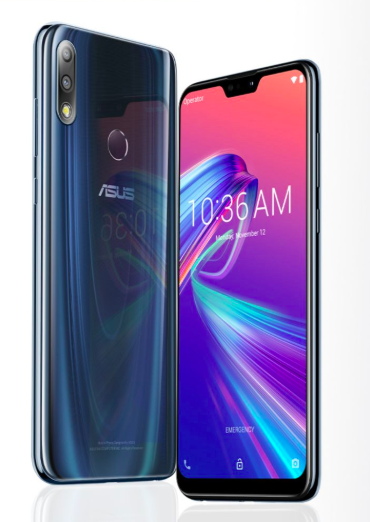 In 2018, Asus teamed up with HUAQIN, a Taiwanese ODM (original design manufacturer), and released the Zenfone Max Pro lineup of phones in India. The stance was quite unique, as the phones run nearly stock version of Android 8.1 Oreo instead of the Asus ZenUI. 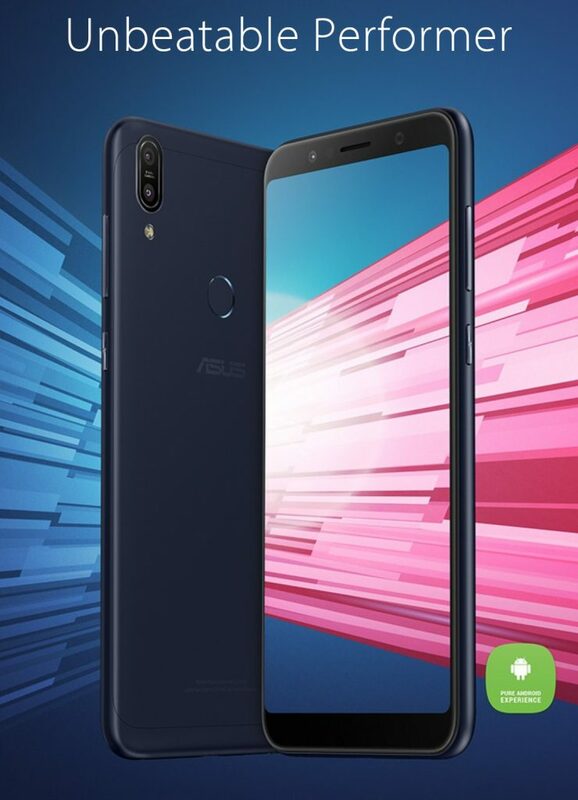 Judging from the internal configurations and competitive pricing, Asus clearly targeted the market segment dominated by ₹10,000-₹15,000 ($140-$220) phones by Xiaomi. The stock Android was another way to lure potential Android One lovers. The latest version of the beautiful Android™ user interface delivers an intuitive experience that helps you do stuff faster, improve your productivity, and simply lets you have more fun with your phone. Interestingly, Asus/HUAQIN decided not to include Camera2 API support in these phones. They did not even use the PixelMaster stack, rather opted from generic Snapdragon camera app with limited functionalities. Although the camera sensors are perfectly capable, the lack of native Camera2 API support results in rather lackluster photography performance under third party camera apps. Shortly after the retail release, the modding community members discovered the existence of a service command. Passing it via fastboot interface instantly enabled Camera2 API support with HAL3 on Zenfone Max Pro M1 as well as M2. We discussed this topic in one of our previous article. Although the modification persists after OTA updates, users started to ask Asus to enable it officially. The initial responses were largely negative though. There is no support for the same. Also there is no official confirmation. 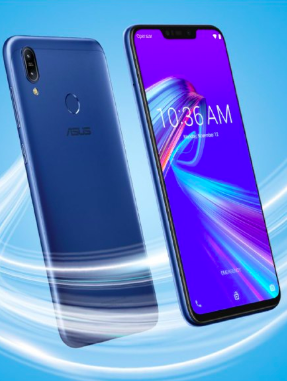 The situation turned dramatically when official Asus Support confirmed that a future update would bring Camera2 API support for the Zenfone Max Pro M1. 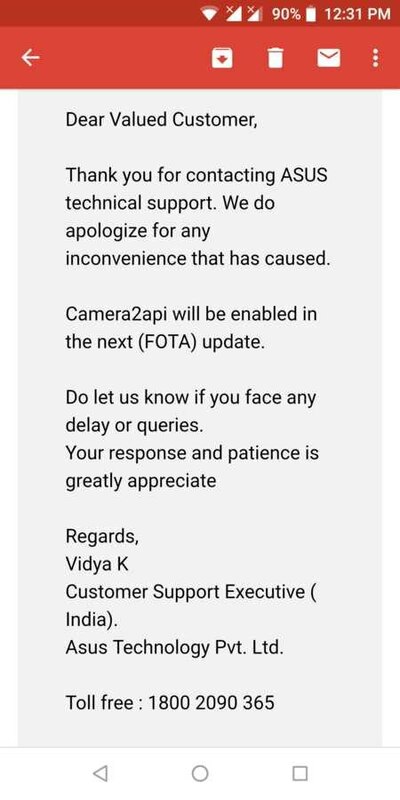 About ZB601KL encountered no camera 2 API in Android Pie, We unfortunately have to announce that camera2 API has been postponed due to test result did not achieve the improvement as expected. ASUS is positively adjusting the optimization and also expected to conduct a software update as soon as possible to solve your current problem. We apologize for any inconvenience caused, and thank you for your patience and continued support for ASUS. In case of the Zenfone Max M2 (the younger sibling of the Zenfone Max Pro M2), the unofficial method to enable HAL3 as well as Camera2 support was reportedly not working since the beginning. It was not supposed to get the feature officially as well – even after the official Pie update. Camera2api is not supported on this device. On the other hand, Zenfone Max Pro M2 users are confused as hell. They are not supposed to have the Camera2 support officially, as indicated multiple times by official mods (example: here, here, here). Nevertheless, some users who upgraded from stock Oreo found that Camera2 API got activated in their Zenfone Max Pro M2 (example: here, here). Camera2API is enabled. You can check using many apps from the play store. However this doesn’t mean that just installing any mod will work. I tested a few and the features i want and the one running is BSD’s mod of GC6 (available in xda). 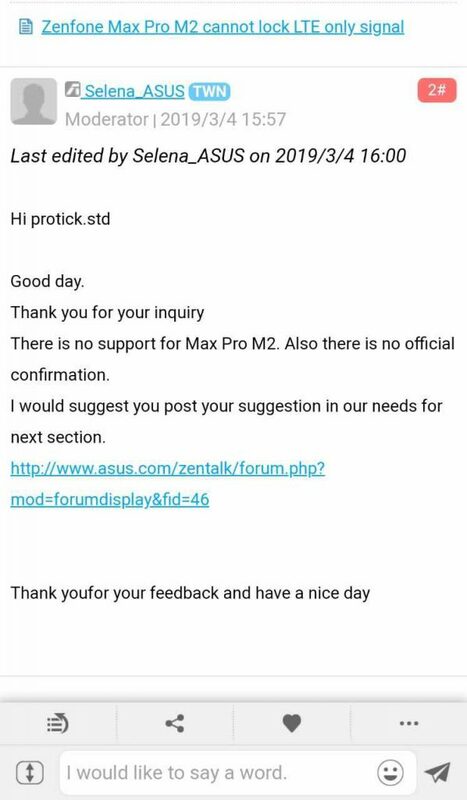 We are not sure if this is another entry in the long list of bugs found in the official Pie update for Asus Zenfone Max Pro (M2). 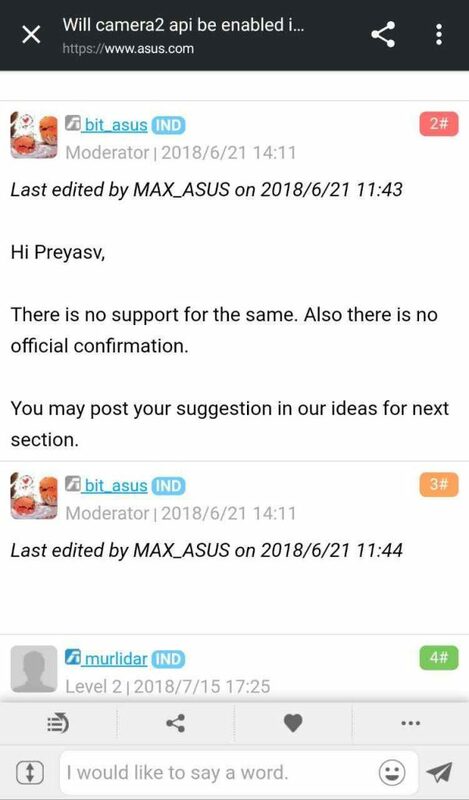 Hopefully Asus will give an official statement soon enough to end all these confusions. Have you enabled Camera2 API on your Zenfone? Do let us know. OnePlus News Daily Dose #51: OnePlus 7 wireless charging, launch date, Game of Thrones and more!